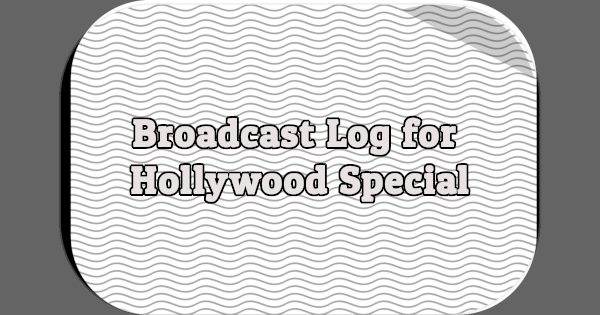 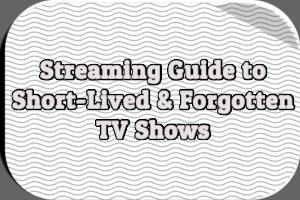 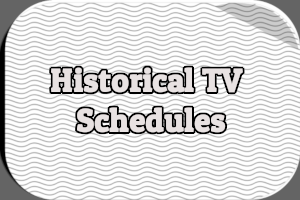 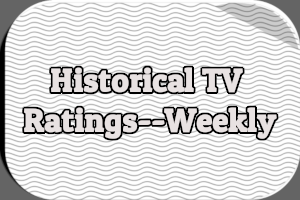 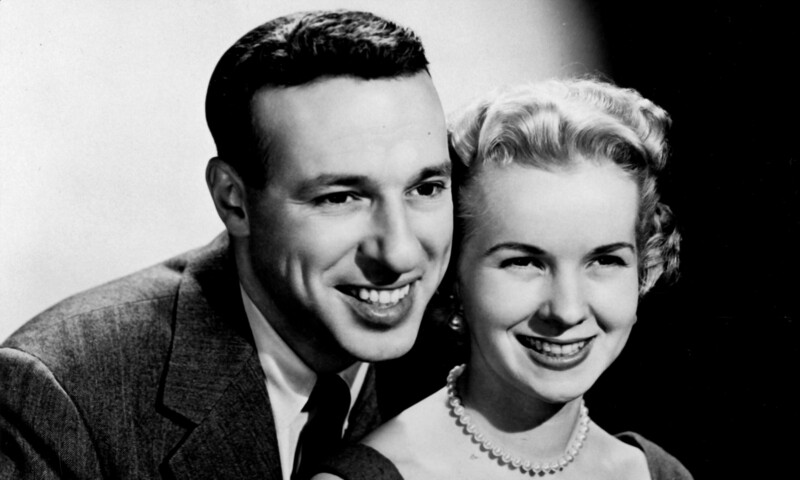 A log detailing every episode, every repeat and every pre-emption during the first and only season of Hollywood Special on ABC, which ran from April to September 1962. 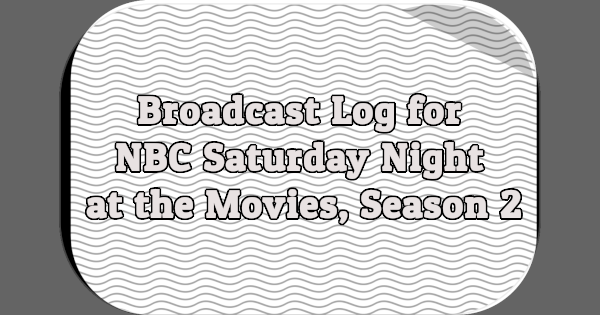 A log detailing every episode, every repeat and every pre-emption during the third season of NBC Saturday Night at the Movies (1963-1964). 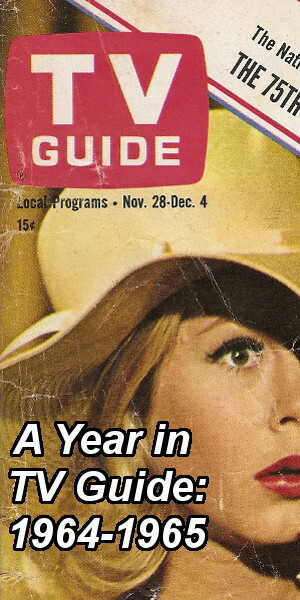 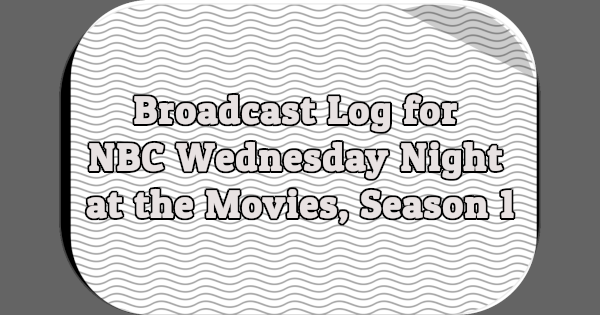 A log detailing every episode, every repeat and every pre-emption during the first and only season of NBC Wednesday Night at the Movies (1964-1965). 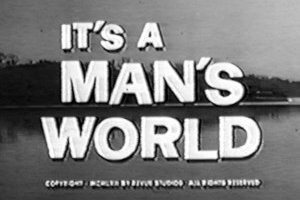 A log detailing every episode, every repeat and every pre-emption during the second season of NBC Monday Night at the Movies (1963-1964). 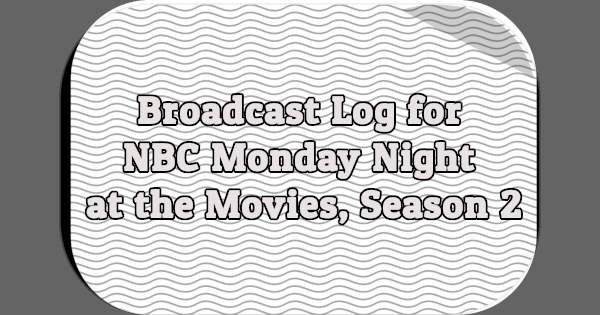 A log detailing every episode, every repeat and every pre-emption during the first season of NBC Monday Night at the Movies (1963). A log detailing every episode, every repeat and every pre-emption during the second season of NBC Saturday Night at the Movies (1962-1963).